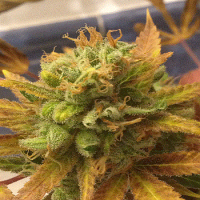 This is a classic grapefruit from Reeferman, a hybrid between the BC Sweet Pink Grapefruit cutting. 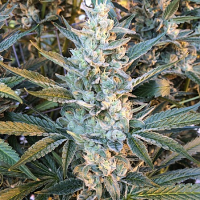 Grapefruit Feminized Marijuana Seeds by Reeferman Seeds: This is a classic grapefruit from Reeferman, a hybrid between the BC Sweet Pink Grapefruit cutting. The male used is C-99 x Sweet Pink grapefruit. This is the purest grapefruit line available. It has an intense narcotic effect and a really sweet pungent aroma. It finishes fast with really nice bag appeal and is frosty as hell. Now available for the first time in Feminized seed form, the Sweet Pink Grapefruit is a must-have for every garden.